ShuttleCloud is proud to present notable cloud industry news from December 2012. 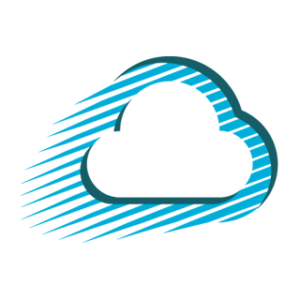 This series is updated bi-weekly with the latest and greatest resources on all things cloud. E-Discovery, a recently popularized term that describes the use of technology to aid litigation, is now being equipped with a full suite of software, courtesy of Office 365. Interesting piece of resarch by KPMG that details the primary barriers to cloud adoption. In short, they are a) evidence of cost savings, b) the shift to usage-driven pricing, and c) the ability of clients to form business cases. This research and insight also resonates with our former post on obstacles to cloud migration. You’ll certainly want to bookmark this amibitious list by James Staten of Forrester. Backed by research and insight that only a visionary can, well, envision, this post includes 10 cloud predictions for 2013 ranging from pricing models to security issues and new industry players. In terms of press, Microsoft had a great year of headlines and innovation in 2012. We’ll see the numbers-based ROI in the coming months of quarterly reports, but it’s exciting nonetheless to review the handiwork of a new OS, a new phone, and an entirely revamped product line. We think Microsoft and Google will capture most of the cloud market share by Q4 2013. They must feel the same way, because in a few weeks (Jan 30) Google is cutting off Google Sync, a feature that allows smartphone users to download and seamlessly integrate contacts and calendars between devices. The service works through Microsoft’s Exchange ActiveSync.